It's release week for Zeitgeist 1919, and in our Chapter 4 preview, the alarms are sounding on the walls of Gotham! Pre-order pages will begin popping up at finer bookseller websites as the week progresses, so keep checking the book page for updated links (Amazon-only at the time of posting, but coming soon to iBooks, Barnes & Noble, Kobo, and many others). On that page you will also find links to the previous preview chapters and the prelude to the book. Zeitgeist 1919 will be available as an ebook and 6x9" trade paperback on Friday, November 17, 2017. Don't want to chance missing the launch announcement? Sign up for my mailing list or hit the pre-order button below! The night air brought bittersweet release. Silke stood on the edge of the city walls and leaned forward into the chill wind, imagining herself perched on a rock above a graceful bend in the Rhine, singing with her sisters. She took comfort in the daydream. Better that than to turn and see what she had wrought. Better that than to pay attention to the chattering in her head. She opened her eyes and stared at the two branches of the river coming together below her, sluggish and black like old blood. Silke shivered, but not because of the cold. Splattered on the machinery of the cannon. Pooled beneath the bodies scattered on the wall behind her. They hadn’t been bad men, those dead American soldiers, just drunk. She could not picture them killing her brother or slaughtering her parents. Silke frowned. Were her parents dead? Memory and truth remained frustratingly out of focus, hidden behind the whispering screens in her mind. Was it all just zaubersänger lies? This was the second massacre she had witnessed since coming to America. The bodies of the soldiers behind her were added to the poor men at the docks who had rushed down to help her from the water. Those men had seemed friendly, befuddled, and even a little embarrassed as they averted their eyes from the wet fabric that hugged her body. One of them found blankets and old, dry clothing. They had given her hot tea and whiskey. Their kindness made the chorus in her head grow quiet and unravel. And then the elben came. The sorcerer’s pets from the unterseeboot. Silke did not know she had a name for them until it flowered, unbidden, in her mind. Cold, pale giants in black cowls. Silent and terrible. It had been their thrashing progress through the bay that she had heard while she swam. They were not graceful, but they were fast and strong, and the men who pulled her from the water were dead before they knew they were under attack. Corpses thudded to the floor around Silke. Her fingers clutched the steaming mug in her hands, fingers sending signals of heat and pain that her brain ignored. As it tried to ignore the blood and broken bones, the crushed skulls and detached limbs. As it was telling her to ignore the bodies behind her now. The dead American soldiers lay strewn about the cannon they had been so eager to show her. Old men and youths and the one called Sims with the crooked smile. They were all dead because of her. Because they could not resist her songs. Because they had the misfortune to be assigned to the cannon battery. The elben were at work behind her, doing something to the cannon. They did not speak. They had not spoken the entire evening as the American soldiers bought her drink after drink, growing more boisterous and boastful. She had slipped her drinks to others or poured them out discretely though the temptation to slip into a fog of forgetfulness and derail her conscience was intense. Every word spoken by an American, every glimpse of one of the soldiers, sparked memory and emotion in Silke. Whispered reminders stirred in their wake. Remember brother. Remember parents. Were they real? She saw flashes of their bodies, grainy images of the demonic soldiers that had killed them. The men buying her drinks were not those men, were nothing like those men, but Silke was powerless against whatever suggestion the sorcerers had planted in her. She knew what she had to do to quiet the voices, to rid herself of the terrible scenes. And so she sang soft words into reddening ears, convinced men flushed with pride and drink to take her to their cannon. They had not noticed the elben lurking at the edges of the group that poured from the dance hall. Nor had the guards at the base of the wall, infected by the good humor of their fellow soldiers and enchanted by her song. She was a flame to the moth of their attention, keeping them from noticing the threat gathering around them. Silke shuddered. One of the elben stood behind her, cold and solid as stone. All sound faded, even the hiss of voices within her skull. The monsters had finished their work, leaving mangled bodies and broken machines in their wake. Now they waited for her to depart, to return to their sorcerous master. “It is done,” she murmured to the night and to the army waiting to descend on the city. The river might weaken the spells of the zaubersänger, but the greatest of the Americans’ weapons were useless now. Silke waited for release. Her task was complete, but the voices in her head were not gone. There was a sense of waiting, of expectation. Dead, black eyes regarded her from a long, pale face. The creature wore no expression, but she sensed its hunger. Silke ground her teeth, relishing the pain. She was tempted to cover her ears, but she knew that would do nothing to silence the voices. Because the voices were inside her head. And her job was not done yet. More lambs had to be led to an elben slaughter. Freiheit vibrated beneath Konrad. The pre-dawn air was bitter, but he suspected the drachenwolf shook with anticipation for the coming battle rather than with chill. Konrad sympathized with the beast. His nerves were as raw as the morning, and wind ripped at his coat and scarf as the two of them twisted in the darkness. The rest of Jasta 94 were clustered on ropes around them, dangling beneath the zeppelin, shivering and snarling. Konrad could see little of the airship beyond its black silhouette against the blue-tinted darkness. Blackout curtains had been drawn on the cabin, but he knew one of the warlocks crouched at the railing, ready to release them when the zeppelin pilot signaled they were in position. Konrad brushed his fingers across the pistol strapped to his chest and whispered to Freiheit. The air rippled with the passage of something foul and unseen, and Freiheit released the line before Konrad processed the signal from the hexenmeister. For a moment they hung motionless, the silence broken only by the snapping of the now-slack lines trailing from the zeppelin. Then they fell, Freiheit rotating to point his snout toward the invisible ocean below. Konrad’s stomach surged into his throat, and he fought the nausea that besieged him, yanking hard on Freiheit’s reins. He felt the beast’s growl rumble against his legs and muttered an apology before letting the reins go slack. Focusing his mind, he kept Freiheit central in his thoughts. Without the ability to create the connection he now sought, Die Fliegertruppen would not have trained him as a rider, no matter what illustrious family name he bore. Names mattered little next to a talent for bonding. Konrad closed his eyes, pushed his face into the fur on the drachenwolf’s back, and inhaled. The heat and scent of the creature filled him. The sense of a second mind, full of simple and hungry thoughts, formed inside his own. “Freiheit,” he whispered, and felt the surge of recognition and acceptance flow from the drachenwolf. Konrad opened his senses to a doubled world, his own superior vision melding with Freiheit’s greater smell and hearing. The joy of the dive rushed through him. His lips peeled back from his teeth in a lupine grin. Konrad and Freiheit howled into the wind together, and the answering howls of the other drachenwölfe and their riders rose around them. The scent and roar of the sea crashed into him—into them—and Konrad-Freiheit spread their wings, angled their dive, leveled off just above the waves. Mist soaked their skin-fur and coated their wings. They shivered, and the Konrad part of their merged self wiped spray from his goggles. In the darkness ahead, there was a smudge of orange clinging to the horizon. Konrad glanced back at the first blush of dawn coloring the sky behind them, silhouetting the other bonded pairs of Jasta 94. The wings of the drachenwölfe were fixed, the riders leather-clad bundles hunched in their saddles. Konrad twisted forward again, his doubled vision reconciling as he fixed his eyes on the same horizon that Freiheit was focused on. The sky was clear—a good omen. The sun would rise out of the ocean behind them just as Jasta 94 came within visual range of the fabled walls of Gotham. The city would not notice them until it was too late. Rory staggered as Nora slumped against him. He tightened his arm across her shoulders, guiding her through the quiet streets. She moved mechanically, arms wrapped around her handbag, more intent on clutching the cards in her hands than in staying on her feet. When he first raced across the street to help her, Rory thought them mere scraps of paper spilled in the wake of the pale giant’s assault. But after he’d roused her, Nora had cried out and snatched up the scattered papers, trying to hide their colorful faces from Rory. He’d heard James scolding Nora for wasting time and money on such things before. Rory had tried to help her, but Nora had scrambled about on her knees, knocking his hands away from the cards. By the time she recovered them, Rory had lost track of his battery mates. He didn’t know if they were still in the dance hall, but he couldn’t abandon Nora to go looking for them. Putting thoughts of giant brutes and the pale girl out of his head, he helped Nora to her feet. It took them hours to reach their neighborhood, progressing in fits and starts, Nora moaning and trembling beside him. Other pedestrians gave them a wide berth, and Rory looked about in vain for streetcars, finding none at this late hour. He was frightened. Nora had always been so calm, so reserved, so opposite the dashing boisterousness of his brother James. She was more like his eldest brother, Patrick—the one rumored to be Nora’s true love. Before the Germans killed him. Nora stumbled and sagged against him. Strange words fell from her lips, and her skin was hot where it touched his own. Rory paused to wipe the sweat from her brow with the sleeve of his greatcoat. Her dark eyes were unfocused. Tangled hair clung to her damp cheeks. Rory’s heart thudded uncomfortably in his chest, and he could not swallow the knot of fear lodged in his throat. He didn’t know what to do. Was something wrong with the baby? Was Nora dying? “Just a one more block,” he whispered. That was all he could do. Get her home. Let somebody else figure out what was wrong with her, maybe get her to a doctor. He was supporting most of her weight now. Her feet had stopped moving, and her shoes scraped against the pavement as Rory dragged her across the street. “She can’t. She can’t,” Nora whispered as if she hadn’t heard him. Somebody shouted, and Rory lifted his head. They were within sight of Aunt Eva’s brownstone now, and James was rushing toward them, his black hair shining under the amber glow of the Edison lamps. James pushed Rory aside and grabbed his wife by the shoulders. His face drained of color as he stared at her. Then he grunted and swept her up, carrying her back to the house. Rory trailed behind him, trying to explain what happened, but the words would not come. They stuck, useless, in his throat. Their mother ushered them into the house and then hurried into the sitting room behind them. James lowered Nora to the couch and gently brushed damp hair from her face. “Nora,” he whispered, and her faraway gaze stilled, tracked back to his face. James tore the cards from her hands and flung them across the sitting room. He pressed his hands against Nora’s cheeks and forced her to look at him. She moaned, her fingers twitching, eyes dull and unfocused. James glanced over his shoulder at Rory, his face twisted and ugly. With jealousy? Anger? “What did you do to her?” he hissed. His mother hurried into the room, water splashing from the glass she carried. Nora’s eyes rolled in her head, and she slumped, boneless, back against the couch. James dropped the glass, and it thudded to the floor, water splashing dark across the carpet. He guided Nora’s head to a pillow as her limbs spasmed, eyes showing only white as her lips shaped silent pleas, no longer aware of the room around her. James pulled a blanket from the back of the couch and draped it over his wife. For a moment, his face was blank. Then he turned to Rory. He stopped. The question, half-asked, died on his lips. His eyes were fixed on Rory’s collar. Rory looked down, and the cannoneer’s pin winked back at him. James reached him in two long strides and gripped his collar, lifting the pin up to Rory’s face. “What is this?” he hissed. “What’s wrong, James?” Confusion was written on their mother’s face as she came to stand beside them. The door slammed open behind them, and James twisted, dropping Rory’s collar and yanking his service revolver free of its holster. Aunt Eva stormed into the room and brushed past James, ignoring the gun in his hand. She took in Nora’s prone form on the couch before turning to her nephews. She was wearing her goggles again, and glowing symbols danced across their enchanted lenses. A small snake of hair had pulled free from the tight bun that gripped the back of her head. Rory started to splutter a response. His mother was turning slowly toward him as she processed the words. But Aunt Eva had already grabbed his arm and was dragging him from the room. She paused as she passed in front of James, looking up into his stony face. He still held the revolver at his side. A wailing rose as if in response to her words. For a moment, Rory thought it was his mother, finally understanding what the insignia on his collar meant or what the mention of vryl fields and cannon batteries implied. But the piercing noise was coming from outside, coming through the open door. It vibrated the windows and set his teeth on edge. The walls of Gotham were sounding the alarm. The sirens were a familiar sound, one the residents of the city had endured dozens of times since the Kaiser took the war to Britain’s shores. Their political leaders had insisted the Germans would never cross the Atlantic, but the military brass had not been so sanguine. Many had served with the Expeditionary Forces in Europe. They knew the threat and demanded that the citizenry be well-drilled in case of invasion. But the warning sirens usually sounded in daylight, not the dark hours of early morning. Aunt Eva pushed Rory toward the door but kept her eyes locked on James. She said something quick and urgent to his brother, something about a child, but the sirens were too loud and her voice too low for Rory to make out the words. He thought he heard Patrick’s name. Then Aunt Eva patted James on the cheek and hurried past him, grabbing Rory’s arm and dragging him through the door, back out into the night. With release day just over a week away and the final notes and corrections filtering in from the proofreaders, it's time for another Zeitgeist 1919 chapter. Today we meet Konrad von Elbing and his drachenwolf, Freiheit. Zeitgeist 1919 will be released on November 17, 2017. The zeppelin’s cabin was thick with abhorrent chanting. Slick, oily fingers of ensorcelled air ran over Konrad’s skin, encircling his limbs and torso. He shuddered and pushed his way through the robed zaubersänger and their miasma of song, conscious of the maimed leg he dragged behind him, conscious of the hooded eyes staring at his cane, topped with a stylized silver eagle. “Damnable sorcerers,” he muttered, gripping the handle of the door to the exterior walkway. Rain painted the window set in the door, rippling the darkness beyond. The door shivered with the cold violence raging outside. Konrad drew a breath and yanked the door open. Wind and rain lashed into the cabin, drawing cries of outrage from the assembled warlocks. Konrad hid a smile behind his collar as he lurched out into the storm and dragged the door shut behind him. His hands found the metal railing in the near darkness, the light from the cabin doing little to push back the pall of the storm. Gone was the glimmer of the moon on white-capped waves below. Gone were the shimmering stars. The bluster of the storm suited Konrad’s mood. He tugged up the collar of his greatcoat and leaned into the wind, pushing his way aft, nursing his disgust for the Kaiser’s spellsingers. Wretched little men grasping for power, usurping the influence of the Junker nobility. Konrad’s family was old and honorable. The von Elbing clan had been fighting beneath Prussian banners for centuries. What were these robed troglodytes with their hexes and curses, their myths and monsters? Konrad paused, staring over the railing into the storm-lashed darkness, searching for the shadowy forms he knew lurked there. He caught himself rubbing his deformed leg and jerked his hand away as if burned. They had done this to him, the miserable hexemeister. They came without being summoned in the wake of the accident, whispering to his father as he lay abed in the hospital, his leg a white flame where the horse had fallen on it. Days, they had claimed. Three days, not the months the doctors said they would need to heal him. The warlocks promised to repair his leg in time for Konrad to assume his commission with the cavalry. They could make the leg better, they said. Stronger. Konrad would not have to wait, would not have to chance missing the appointment he craved. His place in the cavalry. Where a scion of the von Elbing family belonged. Konrad slammed his cane against the railing, sending sparks of numbing pain arcing across his fingers and palm. Why had his father listened to the low-born witch-spawn? Why had he indebted the von Elbing family to sorcerers and let them work their treacherous arts on Konrad’s leg? It went against every tenet of thrift and godliness he had taught Konrad to value. What about fortitude? What about self-denial? “Lerne leiden ohne zu klagen,” Konrad hissed, echoing his father’s favorite expression. Learn to suffer without complaining. Konrad snorted. He wondered if his father really understood suffering. The zaubersänger magic festered in bone and tendon and muscle, a slow and insidious poison that caused Konrad constant pain. He wondered, given the events that followed, if healing had ever been the warlocks’ true intent. Movement in the darkness below was followed by a snuffling sound, barely audible above the roar of wind and rain. The grimace that twisted Konrad’s features loosened its hold, and he whistled. A vast shadow rose above the level of the railing, pushing toward him with a whine and the stench of leather and wet fur. Ungodly monsters they might be, but they were his monsters. The drachenwolf pressed its snout into Konrad’s chest, shoving him back against the cabin’s curved metal exterior. Konrad chuckled and scratched the creature’s chin. Freiheit had always been his favorite, the mount Konrad considered his own. The smile that threatened to claim his lips died stillborn. Freiheit was no proper mount, no cavalry horse. Leutnant Konrad von Elbing would never ride into battle in the fashion of his ancestors. Because the hexenmeister had failed. Because their sorcery had mutilated and ruined him. Because their so-called miracles were lies and bargains with the devil. Lies that left him maimed and humiliated. He had wanted nothing more than to carry the von Elbing standard into battle, to add another chapter to their long and honorable family history. But with a ruined leg, there was only one way for him to get to the front lines. Die Fliegertruppen. Or at least that was what the Kapitän who broached the option of a Flying Corps commission had claimed. Konrad sniffed. Had that officer been pressured to direct him to Die Fliegertruppen? Who would have the motivation to do so? Who would have the influence? Konrad had his suspicions. He did not turn, but he sensed the foulness of spellsong seeping through the walls of the cabin behind him. There were times he swore he could smell sorcery. Konrad’s leg ached in sympathy, prompting a fresh flush of anger and resentment. He remembered his father’s response when he presented his orders. Die Fliegertruppen? Why should a von Elbing serve alongside glorified mechanics, butchers’ boys, and farmers? What glory was there in flying over battles, dropping bombs on the real warriors below? What honor and courage was there in dueling when you could not see the blood or the eyes of your enemy? As if his father had any right to judge after giving his only son into the care of sorcerers. Hours of pain and chanting bleeding into days of agony. The unclean thoughts of robed figures brushing against his own as they prodded and tugged, reshaping bone and muscle. A half-healed leg, permanently twisted. His every limping step bringing fresh torment. The zaubersängers’ spells had changed something inside him. He first felt it when his father’s favorite dog, Fritz, had come snuffling around Konrad as he sat in his wheelchair in the garden. There was an opening, a window through which he could perceive the hound’s mind. Konrad had known intuitively that he could form a connection with the animal. And the dog had sensed it as well. Curse the hexenmeister and their machinations. Freiheit growled as Konrad’s hands clenched into fists, tugging hard on the fur of the drachenwolf’s neck. How many others had suffered the same fate? How many broken youths from Junker families had the sorcerers “healed” in order to create their riders? Konrad forced his fingers to relax, to stroke Freiheit’s chin. It had all been so promising at first. So many young men from proud bloodlines joining Die Fliegertruppen. Stirring speeches from General Ludendorff himself. Personal messages to their training cadre from the Kaiser. It had almost been enough to convince Konrad that they would be the basis of a new breed of warrior, knights of the modern age. But then the sorcerers introduced the drachenwölfe. Konrad remembered the beasts being led out of a hanger, remembered the gasps of horror from his comrades. Giant wolves with wings, products of a demented amalgam of magic and science. Abominations, huge and hideous. And the raw need of the creatures! Konrad sensed their desperation, their openness to bonding. They all did. Several of the Junker youths were not present when they mustered the next morning. No reason was given for their disappearance, but those who remained knew. Knew and hated themselves for remaining. Because as revolting as the drachenwölfe were, they offered a chance at glory, a chance that most of the Junker youths had thought lost to them. Their minds and bodies may have been broken, but the drachenwölfe would allow them to fight. And the drachenwölfe could fly. The first time Konrad rode one of the creatures, he hated himself for loving it, for loving them, for embracing the bond that exposed him to their willingness to please and their ferocity in battle. Were the drachenwölfe not victims as well, their bodies and souls polluted by hexenmeister sorcery? He wanted desperately to reject what the sorcerers offered, what they expected of him. But he was more desperate to fight. And for that, Konrad needed the drachenwölfe. Flying machines would have let him fight without the full use of his leg, but with a drachenwolf he could do even more. They all could. A corps of broken young men, carefully prepared to bond with monsters, to become one with them. The drachenwolf shuddered as he stroked it, and he stared into the creature’s eyes. They glinted in the light coming from the cabin, brown shot through with amber, a sun-dappled forest beneath a distant canopy. Konrad dismissed the momentary thought that the forest was where Freiheit belonged. The drachenwolf was a hunter more suited to ghosting through trees than clinging to the side of a zeppelin as it braved the stormy Atlantic on its way to glory and conquest in America. If not for its size. If not for the unnatural wings. Chanting reverberated against the bulkhead behind Konrad, and he felt it moving, sinuous and malevolent. The drachenwolf whined, sensing the anger in Konrad, and pulled back. It tilted its great, shaggy head, rain mixed with slaver dripping from massive jaws. Rory’s head swam as he and his fellow recruits stumbled out of the dance hall. His arms and legs were distant and numb, attachments he regarded with vague curiosity. Wearing a uniform carried its privileges, and one seemed to be that it rendered bartenders blind to age. Of course, being in a group where half of the men could be his grandfather didn’t hurt. Rory flexed his fingers experimentally and watched, fascinated, as they moved without his feeling them do so. Rory had heard the same sentiment at least a dozen times in the course of the evening. Word of the flyover stunt was on everybody’s lips. He’d yet to say anything to his companions about his brother James being in command of the Air Wing squadron, but he knew it was only a matter of time before alcohol loosened his tongue. For now he was content to float along in their shadow, silent and reveling in the attentions of the citizenry, still buzzing over the test firing of the great cannon. Corporal Sims, their leader for the evening, leapt onto the base of an Edison lamp and whirled around it, hand shading his eyes as if he were atop the mast of a sailing ship, sighting for land. He paused, leering, and held out an unsteady arm, pointing the way to their next destination. Rory cheered with his comrades as they lifted Corporal Sims down and staggered along the sidewalk in the direction he had pointed. As they progressed, they gathered followers. Men who wanted to buy them drinks. Women who wanted drinks bought for them. Street hustlers and vagrants, a motley assemblage whose faces flashed before Rory in a blur of glistening flesh and swirling, boozy smoke. The chill evening air had carried a threat of snow, but Rory couldn’t feel it anymore. He couldn’t feel much of anything. The arrival of the girl jolted him from his good-natured stupor. New faces swam past constantly, but hers demanded attention and received it immediately. And not only from Rory. Eyes like chips of ice peered out from beneath a cloud of pale hair that floated as if she were swimming through the night. She spoke in a soft sing-song, and Rory strained to make out her words, colored with an accent he could not identify. French maybe? Her clothes were too large and at least ten years out of date, but that only added to the exotic strangeness of her. Out of time. Out of place. Classical in a modern world. Corporal Sims and one of the larger cannoneers swept in on either side of her, arms settling comfortably across her shoulders. She smiled slowly, but Rory saw the confusion in her eyes, the almost drunken distraction. Something urged him to help her, to rescue her from his companions. Was it the drink making him think like this? Rory’s vision swam, and his stomach churned with an evil queasiness. He tried to blink away the pale spots dancing behind the woman and her two burly escorts. He blinked again, but the spots remained. Resolved into the faces of giants, bloodless and impassive as stone. Corporal Sims and the others did not seem to notice them. The dark bulk of the giants’ bodies were rocks around which the carousing bodies broke. Revelers bounced off their immobility, turned to confront them, and suddenly lost any interest in doing so. Dead, black eyes kept watch on the woman. Rory gathered his courage, fueled by the unfamiliar fire of alcohol in his veins, and prepared to go to the woman’s rescue. But they had already reached the next dance hall, and Corporal Sims swept her through the entrance. The backlog of bodies squeezing through the doors slowed Rory’s progress, and he glanced around, trying to locate the pale giants in the crowd, worried that they had already followed the woman inside. Instead, he saw his brother’s wife. What was Nora doing downtown at this hour? She stood beneath an Edison lamp, swaying and clutching her handbag. Facing her was one of the huge, pallid strangers with dead eyes. Rory fought the current of bodies being sucked into the dance hall, shouting her name as the stone-faced giant stretched a massive hand toward her. Nora’s legs buckled, and she slumped back against the lamp post. Rory surged forward, pushing and cursing his way through the packed bodies. As he dashed across the street, Nora sank to the ground, unconscious, her handbag falling to the pavement. Papers spilled from its open mouth to be scattered by a swirling eddy of wind. The pale giant crouched over her, and Rory let out a wordless cry as he flung himself at its back. The thing—and Rory was certain it was a thing now, not a man—moved with inhuman speed, retreating into the shadows at the edge of the lamplight, leaving Rory to tumble across the pavement. He rolled to his feet and placed himself between the creature and Nora. His stomach clenched. Twisted. He tasted bile as points of pain blossomed behind his eyes. “You stay away from her,” he growled through gritted teeth, hands bunched into fists at his side. The creature only stared past him with its dead, dull eyes. There was no expression on its face, though Rory got the impression that it wanted to attack him, wanted to get at Nora. And what could Rory do to stop it? He was having a hard enough time staying on his feet and fighting down the urge to vomit. The creature pulled back from the light without a sound, and Rory watched it vanish. Sweat prickled his brow and dripped down his cheeks. He took a hesitant step toward the shadows, fists still raised. Behind him, Nora moaned in a language he could not understand. 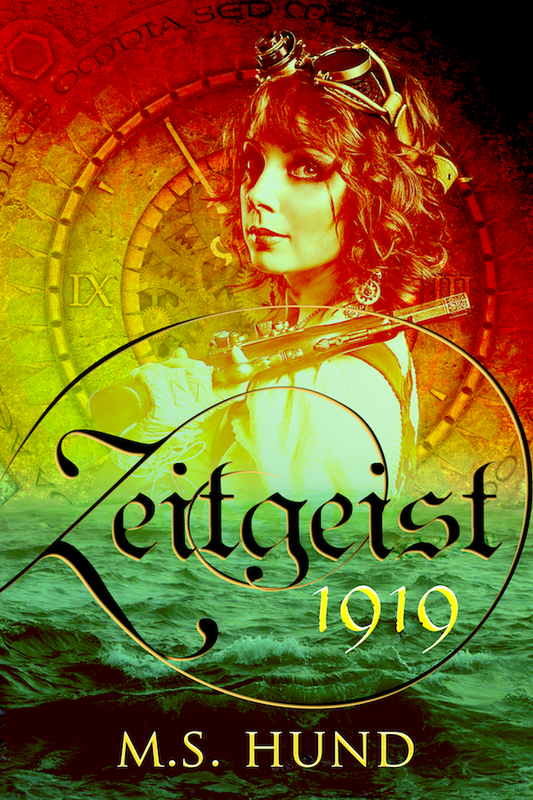 It's time for the second chapter preview from my forthcoming novel, Zeitgeist 1919, a tale of magic and machines, star-crossed lovers and mythical monsters set against the backdrop of an alternate-history First World War. You can pre-order your copy for 50% off the list price for a limited time and read teaser passages and the first chapter (in case you missed it) on the Zeitgeist book page. Rory stood at attention on the wall, conscious of the crowd in Battery Park below. Stiff boots pinched his tingling toes and gripped his calves. His fingers felt like ice inside his gloves. Hundreds of eyes were watching him, maybe thousands. But not him alone. Distantly, above the thundering rush of blood in his ears, he heard the sergeant barking orders, the thunder of boots as the veteran battery crew sprang into action. He kept his eyes fixed forward, staring over the city he was now sworn to defend. He didn’t remember the speeches, barely remembered giving oaths and saluting the dignitaries in the gallery beside the cannon, wreathed in the mist of their own breath. Aunt Eva was in the gallery. She had arrived with a small pack of her fellow technomancers, hair pulled back in a severe bun, head strangely naked without the goggles she always wore. Odd that he would notice the missing goggles more than the fact that she was wearing a dress. It made her look older. Sadly, the uniform failed to do the same for Rory. Somehow it made his reflection in the mirror look younger, like a child playing at being a soldier. Was Aunt Eva watching him now, wondering what she had done by getting him assigned to the battery? Not that she was solely to blame. His sister-in-law Nora had helped as well. Together, they conspired to override his brother’s efforts to pin Rory to the boring safety of a desk at Defense HQ. Aunt Eva’s voice carried weight with Defense because she helped maintain the Tesla cannons, and Nora’s father was high in the chain of command. The two women would have to share the blame when his mother found out. Back rigid, eyes focused blindly on the skyline, Rory’s mind drifted. Dinner at Aunt Eva’s last night had been predictable. Mother’s birdlike eyes had followed Aunt Eva, no doubt fuming that her sister-in-law claimed the head of the table ahead of her eldest surviving son. Not that James seemed to mind. He was busy regaling the family with yet another story of the Air Wing and their feats of aeronautic daring. Rory’s gaze had been drawn to the framed photo on the sideboard. James and Rory flanking Patrick in his doughboy kit, hat tilted rakishly, the ghost of a smile haunting his face. Patrick had abandoned his apprenticeship at Tesla’s lab to enlist. Off to Europe to take the fight to the Kaiser as part of General Keane’s Expeditionary Forces. In training, he’d met the general’s daughter, Nora, and in the weeks that followed she’d joined the Red Cross in secret so she could accompany the Expeditionary Forces and thus remain near Patrick. But her father had found out and forced her to return home. Then he assigned Patrick to the first group of Americans destined for the trenches. James had half-risen from his chair, hands chasing each other as he described some aerial maneuver he’d accomplished in his biplane. His mother watched, a small smile chasing about her thin lips, knife and fork poised over her plate. James turned to Nora, but his wife was looking at the table, her shoulders trembling. Had she married James just to spite her father, or had something about James reminded her of Patrick? They had married within weeks of her return. Before her father could interfere. Maybe before she could entertain second thoughts…? Rory watched her push food around her plate. She was obviously terrified that something would happen to James. Was that because she loved him or because she didn’t want to raise their child alone? And why had she helped get Rory assigned to the Tesla Battery? Why wasn’t she afraid of what might happen to him? James started to reach for her shoulder, but turned and touched his mother instead. She caught his hand, pressing her lips to his palm. Her eyes twitched toward Aunt Eva. Little spots of color dotted her cheeks. No mystery there. Rory had seen that look often enough since they moved in with Aunt Eva. In that look were all the reasons why Mary Donnelly had encouraged her eldest son to abandon an apprenticeship with Tesla to go fight in the old country, why she now took joy in her middle child risking life and limb in a mechanical, flying death trap rather than a technomancer’s laboratory. And why she would keep her youngest son, Rory, far from anything that carried even a hint of magic. Her husband had died in the pursuit of magic. An accident in Tesla’s laboratory had ravaged Eamon Donnelly’s body and mind. It took weeks for him to die. Aunt Eva had not left her brother’s bedside until his last breath. She shouldered the blame for the accident, promising her dying brother that she would care for his family, that she would abandon the recklessness of her youth. Mary Donnelly had not forgiven Aunt Eva or thanked her for her help. Nor had she forgotten the part that magic had played in her husband’s death. Rory’s scalp prickled, bringing him back to the present. The Tesla cannon’s accumulator was beginning to whine, and the wall vibrated beneath him, shaking his boots and rattling his bones. He sensed the heads of his battery-mates turning, discipline amongst the volunteers breaking down as their excitement built. Rory fought to keep his gaze fixed forward. Nobody would be watching him. All eyes would be on the great cannon. Nobody would see. Just a brief glimpse. His gaze flickered past the gallery to devour the gleaming metal surfaces of the gun. His father had helped Tesla design it. Rory’s heart thudded against his ribs. Most of the cannon’s workings were hidden from view. The only exposed portion was the large cylinder cradled by the mechanism that connected it to the wall. Cables thicker than a man’s thigh carried vryl current from concealed accumulators in the wall. The battery crew swarmed around the cannon, checking the cables for leaks, cranking the massive gears that brought the weapon’s barrel to bear. The sergeant, still shouting through a bristling mustache, stared at the indicators monitoring power levels and targeting information. There was no specific target today. The firing itself would provide ample demonstration of the weapon’s potency. The wall grumbled, transmitting the steady thrum of the hidden accumulator coils as they pulled vryl energy from the air. Every hair on Rory’s body stood at sharp attention. His skin crawled as if spider webs were being drawn across it. Arcs of pale lightning flickered around the cannon’s barrel, and the sergeant’s voice became impossible to hear as the weapon shrieked and growled. The firing rocked the wall. It shook the city and rippled the bay for half a mile in every direction. Rory spread his feet to maintain his balance. His jaw went slack as the air in front of the barrel shimmered with the passage of thaumaturgic energy bound to super-heated particles. The fact that the beam was only faintly visible did not make it any less destructive or deadly. Rory had never been this close to a firing, had never seen the beam as anything more than a faint line stretching off into the infinite distance. He had heard the boom when the firing ceased of course. Nobody with ears in the city could have claimed otherwise over the past eighteen months. But this was different. It was one thing to read about the fell energies harnessed by technomancy in dime novels, but witnessing the real thing shifted his fascination to terror. He stared with wide eyes, every hair on his body trying to pull free from his skin. A warm breeze caressed his face. He became aware of a commotion. Rory turned, astonished to see Aunt Eva racing from the gallery, arms waving. The cannon’s crew could not see her. They were focused on the destructive passage of their weapon’s energy beam. Rory saw faces in the gallery behind her, some looking with horrified expressions at the horizon. Evangeline Donnelly tumbled into the battery crew, shouldered the sergeant aside, and tugged fiercely at the massive firing lever. Thunder jolted the wall as air rushed in to fill the vacuum left in the deadly beam’s wake. Rory clapped his hands over his ears. The beam was supposed to be stepped down gradually in a test firing, so the new recruits hadn’t been issued the helmets with ear protection that the battery crew wore. In ringing silence, Rory watched the sergeant struggle to decide if he would strike the woman who had manhandled his cannon’s controls. The sergeant loomed, his face purple behind the straw bristles of his mustache as members of the gallery rushed forward. He was shouting, but Aunt Eva had both ears covered. She took one hand from her ear and pointed at the horizon. Rory twisted around. Distant shapes wheeled in loose formation above Brooklyn, producing flashes of color—yellow and blue, red and green. Painted wings. Biplanes swooped and dove as they came across the water. They passed just over the wall, the pilots’ scarves flapping as they waved to the spectators below. The wood and fabric bodies of their machines were garish with color, and James’s yellow-winged fighter was in the lead. Gotham glowed beneath an orange and gray dusk, her myriad Edison lamps pushing back the encroaching gloom. The city’s streets hummed with tales of industry and magic, with rumors of the war kept at bay by the mighty Atlantic and the arcane machines of American technomancy. Rory Donnelly walked those streets in a daze. He ran his hands through the dark tangle of his hair and then lowered his fingers to stare at them, wondering that they were not still tingling. “I touched it,” he muttered. His fingers strayed to the brass pin affixed to his collar, a stylized lightning bolt atop a disk. He remembered the pulse of the imprisoned energies, his skin itching and crawling as the great machine hummed to itself. “I touched it,” he repeated, still in disbelief. Had it been just a week ago that he stood in the shadow of the great wall listening to the buzz and crackle as the cannoneers tested their weapons, dreaming that one day he would be up there with them, preparing to defend the city? Tomorrow could not come soon enough for Rory. Tomorrow the new recruits would take part in firing one of the great weapons. Rory shivered inside the borrowed greatcoat. His wiry frame would never fill it out as James had. He frowned as he pictured his older brother’s burly, athletic build, the black gloss of his hair, the Defense Force pilot’s wings pinned to his collar. Rory unfastened his own cannoneer’s lightning bolt and shoved it deep in his pocket. James would know what the symbol meant. Despite all the strings he pulled on their mother’s behalf to get Rory behind the safety of a desk, somehow his younger brother had been assigned to the Tesla cannon batteries. Mother would not be happy. Rory paused beneath the glow of an Edison lamp and tugged his collar up against the evening chill. Now that he was almost home, he wondered if maybe he should have accepted the invitation from his new battery-mates to join them for dinner. A curtain twitched on the second floor of Aunt Eva’s brownstone, and Rory’s lips compressed in a tight smile. If he’d accepted that invitation, his mother would have sent James to look for him. Worse, she might have come looking herself. Rory stepped out from beneath the Edison lamp and crossed the street. On the stoop of Aunt Eva’s building he took a deep breath to settle himself and to suppress the excitement the Tesla cannon had smeared all over his face. Then he pushed open the door. The Rhine? Had she ever seen the Rhine? And what sisters had she been thinking of? A brother. She had a brother. But he was dead now, wasn’t he? Hadn’t the Americans killed him? Silke tried to order her thoughts. She couldn’t even remember her brother’s name. But she knew he was younger than her. Surely too young to enlist? And why would he have been fighting Americans? The Russians were closer. A fleeting image danced through Silke’s head of a wasted and shambling man, skin gray where it was not rubbed raw and pink. Bones protruded from his savaged arm. Worms writhed in empty eye sockets. Silke twisted a pale strand of hair around equally pale fingers and tugged hard enough that tears filmed her eyes. The vision fled, dragged down by other memories of trucks and trains and cold rooms with steel tables. Men in dark robes—Zaubersänger sorcerers, measuring and whispering, examining her body, testing her intellect. Prodding and probing. Pain and sickness. Her hair had been darker then, streaked with red and gold. Silke remembered it piled on the floor around her, harvested by unkind shears. She remembered the hissing voices, the hunger for revenge blossoming in the confusion of her mind. Revenge for her slain brother. And what about her parents? Were they dead as well? Memories of lumbering gray bodies in the village. The Russians. And some of her neighbors. The gray bodies in her memory gave way to slender shapes, sinuous and bright beneath the sedate flow of the Rhine. Her sisters, voices raised in chorus for the watching sorcerers. And the zaubersänger, adding their own voices to the song. Her thoughts and memory being pulled apart, woven back together. And then the long dark. Why wasn’t she shivering? A bitter wind tugged at Silke’s thin dress, but the cold did not bother her. It was a distant thing. Nothing to worry about. She lifted her hand. Light from the distant city painted the webbing between her slender fingers a pale pink. Had they always been like that? Why couldn’t she remember? What had the zaubersänger done to her memory, to her body? Were the sisters real? Was her brother? Her parents? The village of her birth? They all felt true. But maybe not. And what of the corpses stalking her…? Silke’s head snapped around. The rumbling engines of the unterseeboot and the insistent song of the sea had masked the arrival of the man standing behind her on the deck. Or at least she assumed it was a man. The robed figure’s features were hidden by the darkness. She made out several indistinct shapes looming behind him, silent and watchful as standing stones. Zaubersänger, thought Silke. She took an involuntary step back. The dark water called to her. It would be so easy to jump in, to swim away, to put distance between herself and the sorcerer. And water. Water had power against their breed of magic. Silke hugged herself. How did she know that? What had they done to her? Something flashed beneath the sorcerer’s hood. His teeth? He stepped close to her, and Silke fought the impulse to dive into the dark water lapping the hull of the submarine. It was deep and alien and forbidding, but no more so than the man—or was he a demon?—standing before her. He leaned in close, and the dim light played across a wasted expanse of dark hollows and scars. Had some disease ravaged his skin? The sorcerer’s eyes burned with a green light that held her motionless, opened windows in the mist of her thoughts. The sorcerer’s breath smelled of stone and dirt and decay. Grave-stench. Whispers chased each other through Silke’s head. Her mouth opened. The zaubersänger raised one finger, bent at an unnatural angle, and touched it to her lips. Heat blossomed. Burned. She could not pull away. Corpses. Oh dear God, the corpses. The dead should not walk. How could they be walking? Where were her parents? What did her parents look like? There were holes in her memory, holes shaped like brother, like mother, like father. The farmhouse remained. The animals and flowers and gardens remained. But no faces of those she loved, no names even. All forgotten. All stolen. Another finger touched her forehead, tracing a line of fire across her brow. The zaubersänger began to chant in an unfamiliar tongue, and Silke’s mind flooded with images of her brother, his body broken and bloody. But he was not in the garden, torn apart by corpses that might have been her parents. He was on a battlefield, and American soldiers loomed above him, their features twisted and demonic. The rhythm of his words surrounded her, wrapped her in a tight embrace. Silke put her hands to her head, touching skin that was clammy and cool. Had she always been like this? She tugged hair that was almost white, not the gold from the mirrors of her childhood. Shaking her head, she tried to remember that girl. Image of her parents, ruddy-cheeked and smiling. Silke shook her head, trying to dislodge the voice, but a second joined in, and they hissed in chorus. And a third. Then a fourth. A whole host of whispering voices. The sorcerer’s lips brushed her ear, and Silke shuddered. His hand touched her shoulder, fever-hot through the fabric of her dress. She did not know what was real and what had been put in her head by sorcery. She did not know who she was. Was Silke even her real name? Silke twisted and dove from the rolling deck with a cry, the dark sea parting to embrace her, icy and warm all at once. For a moment, all she heard was the dull roar of the unterseeboot’s engines. Then, as she put distance between herself and the submarine, other sounds reached out to touch her. First came the bright chorus of small streams singing of mountains and trees and sunshine. Then the languid, steady drone of an old river. Then the deep chanting of the bay. 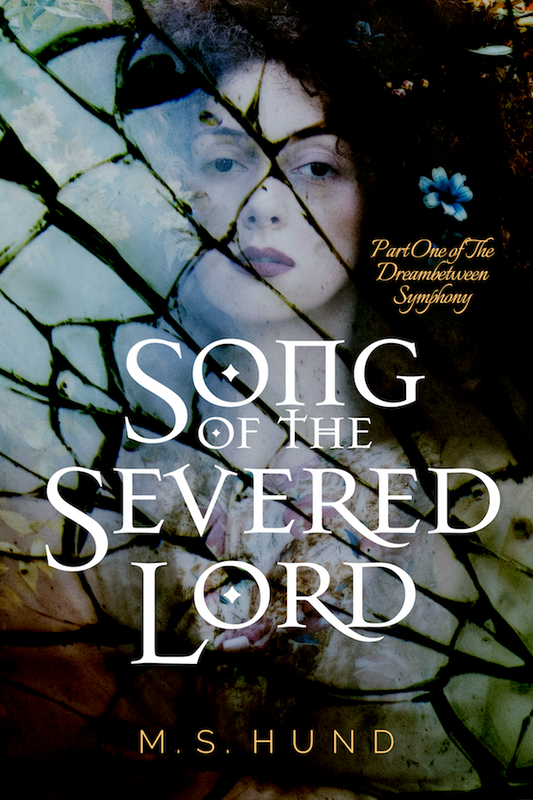 But there was another song lurking beneath them, an ancient and menacing dirge she had heard before. It had brushed against her mind during the ocean crossing, sending questing fingers through the fog of zaubersänger drugs. The deep-song chased Silke toward the city as she swam with all the speed the zaubersänger shaping magic had gifted to her. It promised protection, promised safety. And belonging. Just swim to the deeper water, it called. Swim to the cold currents of the sea. Be free. But the chattering in her head was too loud, too insistent. Could the song of the sea rid her of what haunted her mind? Or was that something only the zaubersänger could do? Had the sorcerers put the voices there to begin with? Vaguely, Silke was aware of something making thrashing, violent progress across the surface of the bay, following her with unerring accuracy. But that was only of minor concern to her. The noise paled beside the horror of the voices from her past, beside the ocean-song that told of madness and imprisonment and a yearning to be free. To touch the air again. To see the stars. To feel the wind. Lost, all lost. Something in the sea was trapped. Trapped like the voices in Silke’s head. And dead. Dead for so many centuries. The world of Zeitgeist 1919 is one in the late stages of a magical flourishing akin to the Industrial Revolution. Though magic had been present in the world prior to the late nineteenth century, a sudden explosion of scholarship, codification, and training led to a rapid expansion of sorcery from a fringe practice to a daily fact of life for many people. As with the Industrial Revolution, this expansion was not always greeted with enthusiasm by the majority of the population despite the benefits that everyday magic brought to their lives. Most people have a pervading discomfort with sorcery and know little about its practice, much less possess the knowledge to distinguish its various forms. What all varieties of modern magic have in common, however, is that they involve the manipulation of magical or spiritual energy. Diverse magical traditions attribute the source of their power to energy, spirits, or sometimes both. The modern “science” of technomancy refers to this power source as vryl and to magical energy in terms of vryl fields and vryl currents. Recent research has also hinted that vryl may be a living energy, perhaps even the stuff of life itself. While no direct evidence supports this, further study may reveal that traditions involving the summoning of “spirits” are simply a shifted perspective, and that manipulation of energy and the coercion of spirits are one and the same. Be it raw energy or a more complex living form, vryl is found everywhere, though sometimes it becomes concentrated in a nexus. Such concentrations interfere with perceived reality and lead to discomfort, often extreme, on the part of the observer, particularly if that observer is not versed in magic. Likewise, concentrated vryl can augment or warp spells, potentially with catastrophic effect. An example of such an effect was the Wardenclyffe Disaster, wherein an accident permanently damaged the vryl fields in the area around the laboratories of the technomancer Nikola Tesla. The origin of the term vryl is unclear, though many scholars point to it being an adaptation of the word Vril in the 1871 novel The Coming Race by Edward Bulwer-Lytton. This is disputed, however, and evidence of similar variants of the word are found in works across multiple languages hundreds of years prior to Bulwer-Lytton’s novel. Often these works are recordings of visions and occult experiences whose authors would have no connection with other historical or contemporary accounts. While the specific terminology can be disputed, what is not in question is that all magic, at its heart, involves some means of controlling energy or spirits. All magical traditions rely upon a means of exercising control over energy or spirits. Methods often overlap in practice, but broadly, they can be sorted into physical, verbal, and ritual means of manipulation. Examples of physical means would be a focus item (such as a wand), the crafting of runes or symbols, or even the use of spell ingredients and/or living tissue. Recent advances in research and technology have led to physical means being the basis of increasingly powerful spellcraft, notably among American technomancers. Physical means also enable the magician to imbue an item with power, enabling its use by those without magical training or knowledge. To limit the abuse of such power by the ignorant, magical devices may require an incantation to activate or change the effect of a stored spell. This is a simple example of verbal means, the second method of manipulation. Verbal techniques have found their greatest modern refinement and expression among the zaubersänger of the German Empire. While physical means are usually external to the practitioner, verbal means are intimately connected to the spell caster, making them both easier to control and more dangerous if that control fails. For this reason, verbal means need extensive training and practice and are often combined with physical or ritual means to offer the spell caster both an aid to concentration and a buffer against ill effects should the spell go awry. In a similar manner, most ritual magic requires both substantial training and the addition of physical or verbal means for safety and focus. Because of its more complex and time-consuming nature, ritual magic is typically the domain of specialists, often with the trappings of religion or secret societies meant to ensure the transmission of arcane formulae and training to new generations of practitioners. Ritual means are also more commonly used in spiritual manipulation though it is up for debate whether this limitation is imposed by the traditions that employ it or the greater complexity required in communicating with spirits (as opposed to the relatively “simple” shaping of raw energy). Given that means of manipulation are not often exclusive, it should come as no surprise that while individual magical traditions often favor one means over the others, all sufficiently developed traditions use a combination of means in their practice. The following passages detail a selection of traditions that may prove of interest to the reader. Technomancy involves manipulating fields of magical energy using crafted devices, often of startling complexity and power. Though predecessors of this style of magic are found throughout human history, modern technomancy developed in the later stages of the nineteenth century, primarily in America. Though there is an undercurrent of distrust regarding magic in America, the so-called “trinity” of American technomancy,—Tesla, Edison, and Westinghouse—are regarded as national treasures and heroes. Likewise, the practice of technomancy is framed as being based on science rather than on spells and the occult, and technomancers are seen as men of intellect who bend energy to their will through skill and invention rather than mystical means. For these reasons, technomancy emphasizes machinery and devices and plays down magical symbols and verbal spell triggers when presented to the public lest the practice appear too much like witchcraft. Other common features include the heavy use of metal in devices and the ubiquity of accumulators, a magical component that allows the gathering/concentration of energy without the need for the user of the device to either focus her mind or have any level of arcane training. The significance of this ease of use is not lost on America’s enemies, who both fear the potential of technomancy and crave it for themselves. A style of magic principally developed and taught in the German Empire, spellsong uses a combination of music, chant, and runecraft to cast spells. Though the tradition has ancient roots, the modern practice was codified in the 1856 text Lieder der Veränderung (“Songs of Changing”) by Maximillian Ingrimm, an archaeologist who dabbled in sorcery. Practitioners of spellsong take the title of zaubersänger, or spellsinger, from the German zauber (magic, spell, or charm) and sänger (singer), though they are often referred to as hexenmeister (German for sorcerer or wizard). Many zaubersänger consider this term pejorative, though some embrace its use. Most zaubersänger are in the employ of the German Empire and are organized in a loose hierarchy under the Imperialer Zaubersänger (“Imperial Spellsinger”). There is no formal selection process for the Imperialer Zaubersänger, much as there is no formal schooling in the art. Those called to the practice either try to educate themselves (a folly that often ends in madness or death) or apprentice themselves to a master zaubersänger. While song is the basis the zaubersänger’s magic, runecraft also plays an important role in providing both focus for the singer and an enhancement of spell effects. Spellsong induces a physical change in these symbols, causing them to move and glow, though this is not the only physical manifestation of spellsong. Those within hearing of the song will often feel the magic as an oily, slithering presence, sometimes visible as skeins of shadow or liquid darkness. Recently, zaubersänger have shown an increasing interest in the magical modification of genetic material. Experimentation to this effect has resulted in the creation of chimera by fusing the cells of multiple organisms in a single host, most notably the drachenwolf, an amalgam of bird, dog, wolf, and the modern-day descendants of pterosaurs discovered in the German colonial territories of Deutsch-Westafrika (German West Africa). This creature has the senses and body of a massive wolf with the bone structure and wings of a pterosaur. Though lighter than a normal wolf, flight would still be physically impossible without the assistance of magic. Such enchantments, along with the chimerization process itself, cause drachenwölfe to be in almost constant pain, requiring the addition of a human partner to both mitigate the pain and to keep the beasts from reverting to an untamed state. The zaubersänger identified a distinct cohort of men of certain Prussian bloodlines who could have their minds and bodies manipulated to create “riders” capable of bonding with the drachenwölfe, a process that blends the minds of both beings to the point where they identify as one creature. Such manipulation of mind and body is not limited to drachenwölfe and their riders. Experimentation has produced a number of monsters from myth and legend such as the elben. The origin of these pale, expressionless giants is shrouded in mystery and rumors of ancient witchcraft, but they have quickly become among the most trusted of the spellsingers’ servants. While spellsong in the modern context is most commonly associated with the German Empire, historical antecedents abound from all corners of the globe in a variety of forms. For example, while zaubersänger spellsong is noted for weakening or failing in the presence of running water, legends of dragon song, a similar magical style also based on song, note that it gains strength from proximity to water. Necromancy (derived from the Greek nekromanteia, a combination of nekros, “dead body,” and manteia, “divination”) refers to several ritual magic traditions that involve communication with spirits to divine secrets or reveal the future. Such spirits often belong to the deceased but can also be creatures of living magic that transition between the mundane world and the spiritual one. Advanced practitioners of necromancy may also be capable of “calling back” deceased spirits, either through the reanimation of corpses or the resurrection of the recently dead. Modern examples include the creation of zombies in Haitian Vodou traditions and the Armiya Mertvykh unleashed by Russian necromancers upon the encroaching German Empire in 1916. Such practices are regarded, even by those of other magical traditions, as dangerous and distasteful. While various magical and religious traditions have their own ideas about spirits and death, some scholars theorize that the living and dead are linked by a third domain, and that this domain is the source of the magical energy sometimes known as vryl. The boundaries of these realms are not easily crossed, requiring complex rituals that drain the life force of the spell caster and pose a potential threat to sanity. A Haitian spiritual/religious practice based around ritualized interaction with loa (from the French les lois, or “the laws”), spirits that act as intermediaries between a supreme creator spirit and the mundane world. Vodou priests and sorcerers (houngan and bokor respectively) summon individual loa with varying spheres of influence or responsibility (e.g. the sea, healing, communicating with the dead) using ritual offerings, prayer, and song. Such summonings may result in the loa’s intervention, often in the form of the loa “riding” a human host, with the host taking on the loa's mannerisms or appearance. Notable loa include Baron Samedi, master of the dead; Papa Legba, guardian of the crossroads; Agwé, ruler of the seas; and Loko, patron of healers and plants. Vodou morality can be divided into so-called “light” and “dark” practices, with the latter often being categorized as sorcery and making use of petro (demonic or angry) loa. One of these “dark” practices is creating zombies (Haitian Creole zonbi). Though these are sometimes reanimated corpses, the vodou practitioner can also create living zombies using spellcraft and special powders to steal the will of a living soul and render it a slave subject to the vodouist’s control. While this discussion of magical systems is by no means exhaustive, it provides a general flavor of the styles of sorcery in play during the early decades of the twentieth century as they are presented in Zeitgeist 1919. The field of magical scholarship in the world is still evolving, and doubtless there will be changes to current theories and accepted wisdom in addition to advances within existing, modern practices. accumulator: An apparatus used to tap vryl fields for the purpose of powering technomantic devices. Also referred to as a Tesla accumulator in homage to its inventor. Armiya Mertvykh: (Russian) Translates as “Army of the Dead.” A growing undead horde created by Russian necromancers to combat the German invasion. Initially composed of dead Russian soldiers, it has fed and expanded, adding the slain to its ranks and devouring the Russian Empire and the easternmost regions of the German Empire. bokor: (Haitian Creole) A sorcerer in the Haitian vodou tradition. Die Fliegertruppen: (German) Translates as “The Flying Corps.” The airborne wing of the German military. Initially machine-based, the expanding influence of the zaubersänger and their magics has resulted in the drachenwölfe largely displacing fighter aircraft in Die Fliegertruppen, though airships and larger bomber aircraft are still employed. drachenwolf: (German, plural: drachenwölfe) Translates as “dragon wolf.” A genetic chimera of pterosaur, bird, wolf, and dog that can fly by virtue of magical assistance. When mentally and emotionally bonded with human riders, drachenwölfe are the elite aerial strike force of the German Empire. Edison lamp/lantern: Any of a range of lighting that uses vryl as a power source to produce a glow. Such lights can range in size from handheld (flashlights/torches) to massive floodlights. One of the most famous and transformative technomantic devices to emerge from Edison’s Menlo Park. elben: (German) Variant version of the German for “elves” and used by the zaubersänger to denote a type of creature fashioned from humans using magic. They are tall, pale, silent, and expressionless. Gifted with great strength and speed but little grace, they are brutal and deadly. Observers often associate them with stones and winter. Though not mindless creatures, they do require direction, but follow orders with unflagging determination. Geissler tube: A lighting device that employs gas discharge to produce a glow in a glass cylinder. It has been largely replaced by Edison lanterns for most practical applications. Götterdämmerung: (German) Translates as “twilight of the gods” and is itself a translation of the Old Norse Ragnarök (“fate of the gods”), a war among gods and supernatural beings that ends in the world being burned, drowned, and renewed. More specifically, it is the title of the last of four parts that comprise Richard Wagner’s Der Ring des Nibelungen. hexenmeister: (German, both singular and plural) Translates as “sorcerer,” “wizard,” or “warlock.” The term most commonly used outside the German Empire to refer to zaubersänger. Initially used in a pejorative sense within the Empire before zaubersänger rose to political and military prominence. Some zaubersänger consider the title an insult, but others relish its occult and dangerous implications. houngan: (Haitian Creole). A male vodou priest. Imperialer Zaubersänger: (German) Honorific that translates as “Imperial Spellsinger.” Denotes the individual zaubersänger acknowledged by the others to be the most powerful of their order and their chosen representative in dealings with the Kaiser. Jasta: (German) Abbreviated form of Jagdstaffel, which translates as “fighter squadron.” Originally referring to groups of flying machines in Die Fliegertruppen, the term was later applied to groups of drachenwölfe and their riders. Kaiserliche Marine: (German) The Imperial German Navy. loa: (Haitian Creole) Derived from the French “les lois” meaning “the laws.” A collection of spirits in the vodou tradition that act as intermediaries between the divine and mundane worlds. Specific loa mentioned in the text include: Baron Samedi, master of the dead; Agwé, ruler of the sea and patron of sailors; Simbi, serpent loa associated with water; Loko, patron of healers and plants; and Ogoun, the warrior. oanga: (Haitian Creole) A magical charm bag used by vodou practitioners. technomancy: A scientific approach to magic based on rules, standardized symbology, and the use of crafted devices. Though an ancient practice, the American hunger for all things modern has seen a flowering of magical technologies aimed at removing the mystery from spellcraft, making it more predictable and usable by all, not just those who study the thaumaturgic arts or have a natural gift for them. Tesla weapon: A technomantic device that uses vryl energy as fuel to create a destructive particle beam. Tesla weapons vary in size from pistols to cannons, and their output can be adjusted by trained users to produce a variety of effects. The normal firing of a Tesla weapon results in the creation of a temporary vacuum that produces a thunderclap when air rushes to fill it. vodou: (Haitian Creole) A Haitian spiritual/religious practice based around ritualized interaction with spirits known as loa. vryl: Magical or spiritual energy tapped or manipulated by magicians to create spell effects. It exists in fields and can move via currents, sometimes gathering in a nexus of strong magic. zaubersänger: (German, both singular and plural) Translates as “spellsinger” or “charmsinger” and is the preferred title of German warlocks that practice spellsong. Zeitgeist Teaser #2: More Characters! Rory Donnelly … A teenager who has recently enlisted as a cannoneer serving on the Tesla batteries that protect New York City. Nora Donnelly (neé: Keane) … The pregnant sister-in-law of Rory, she is plagued by fits and visions of impending doom. Evangeline “Eva” Donnelly … An American technomancer and Rory’s aunt, she serves as a magician-advisor to the forces defending New York City. Eamon Donnelly … Technomancer killed in the Wardenclyffe Disaster. Father of Rory and sister of Eva. James Donnelly … Pilot and chief of the Defense Force Air Wing. Brother to Rory and husband of Nora. Patrick Donnelly … Eldest brother of Rory. Died fighting the Germans in Europe. Mary Donnelly … Rory’s widowed mother. Wife of Eamon. General Keane … American military commander and father of Nora Donnelly. Corporal Sims … Tesla cannoneer assigned to the same battery as Rory. Josephine “Jo” Sibley … A self-educated, mixed-race schoolteacher and occasional fortune teller. Previously a domestic servant for the Roth family. Oscar Roth … A wealthy academic magician, more attuned to discovering magical secrets than casting spells. An affair with his family’s servant, Josephine, ended badly a dozen years ago. Baptiste Leopold … An exiled freedom fighter and vodou practitioner of Haitian-German descent. Edward Phelan … British spy and magician. Violeta “Vee” Quintana … The young leader of the orphans living in the tunnels beneath the city. Chess, Lin, Luck … Orphans who dwell in the tunnels beneath the city. Sergeant Allen Gray … Soldier assigned to a secret base of magicians and spies along the Connecticut coast. Imperialer Zaubersänger Sigmund Gramlich … Chief sorcerer to the Kaiser and architect of the invasion of America. Silke … A young German spy whose body and mind have been warped by sorcery. Konrad von Elbing … Scion of an ancient Prussian military family and a reluctant drachenwolf rider. Freiheit … The drachenwolf Konrad rides and is bonded to. Bokor … A nameless and ancient Haitian sorcerer allied to the Imperialer Zaubersänger. Stefan Lang … Kapitänleutnant in the Kaiserliche Marine and commander of the unterseeboot U-188. Josef Lang … Infant son of Stefan Lang. Deceased, but now possibly part of the Armiya Mertvykh. Magdalena Lang … Wife of Stefan Lang. Deceased, but now possibly part of the Armiya Mertvykh. Brandt … Watch officer aboard the unterseeboot U-188. George Kohlberg … An immigrant German-American technomancer haunted by the disappearance of his son and the mountain that looms over his town. Thomas “Tommy” Kohlberg … An apprentice technomancer being trained and raised by his grandfather, George. Jakob Kohlberg … George’s son and Tommy’s father. He disappeared when Tommy was an infant. Delphyne … A mysterious girl living in an isolated cabin with her grandmother. Helen Carter … Deceased wife of George Kohlberg and daughter of Abraham Carter. Abraham “Abe” Carter … Deceased technomancer who trained George Kohlberg and later became his father-in-law. Manfred “Fred” Keller … Schoolmate and friend of Tommy Kohlberg. August Frazier … An American magical researcher and botanist who has recently lost his wife to an accident in the woods. Elizabeth Frazier … Deceased wife of August. Henry “Hank” Weeks … Owner of the general store and the closest thing August has to a friend in town. Avery Clayton … Elderly critic of August and all things magical. Lazare Viger … A young Québécois smuggler and nationalist who suffers from hypertrichosis, resulting in most of his body being covered in thick hair. Malone … American border guard patrolling the crossings between Canada and northern Vermont. Gignac … French-Canadian smuggler and associate of Lazare. Widow Laporte … Nearest neighbor to August Frazier. Thomas Edison … American inventor and technomancer. Paul von Hindenburg … Former commander of the German military. Now deceased. Kaiser Wilhelm II … Emperor of Germany and King of Prussia. Erich Ludendorff … Current commander of the German military. Nikola Tesla … Serbian-American inventor, scientist, and technomancer. Nora Donnelly, née Keane … The pregnant sister-in-law of Rory, she is plagued by fits and visions of impending doom. Evangeline Donnelly … An American technomancer and Rory’s aunt, she serves as a magician-advisor to the forces defending New York City. Delphyne … A mysterious girl living in an isolated cabin with her grandmother on a Pennsylvania mountainside. August Frazier … An American magical researcher and botanist who has recently lost his wife, Elizabeth, to an accident in the woods. Josephine Sibley … A self-educated, mixed-race schoolteacher and occasional fortune teller. Previously a domestic servant for the Roth family. Stefan Lang … Kapitänleutnant in the Kaiserliche Marine and commander of the unterseeboot U-188. His wife and child have been lost to the Russian Armiya Mertvykh. Want to help make my latest book better? Not intimidated by rough text and the likelihood of plot inconsistencies? Just want to get a look behind the scenes at how the sausage is made? Excited to see what flying wolves and sorcerers would bring to World War I? If you answered yes to any of the above, then head over to the book page for my next novel, Zeitgeist 1919, and sign up to be a beta reader today! Don't delay. This is a big book, and I'll need you to read it and submit your feedback before August 25th.